LYNN — When John Buscemi talks about his dual-fuel range, he doesn’t mean one of the modern, high-end, gas cooktop-electric convection models. Buscemi’s cooker, a cast-iron Gold Medal Glenwood, is powered by gas and coal, and it was the top of the line about 100 years ago. 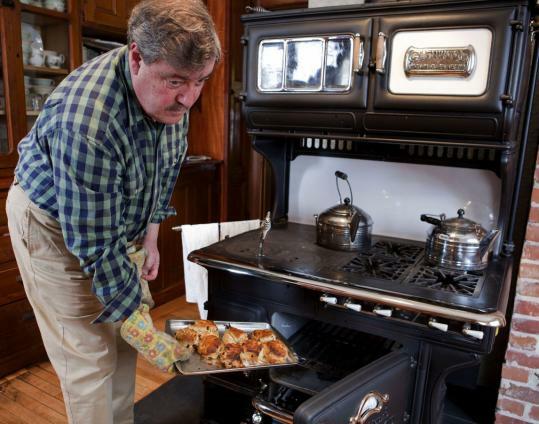 For Bruce and Melanie Rosenbaum, it all started with the stove. 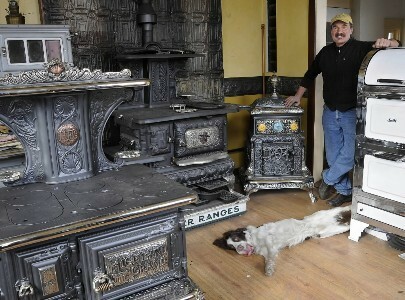 The salvage-loving couple was on one of their regular pilgrimages to the Brimfield Antique Show in central Massachusetts when they met David Erickson of Erickson’s Antique Stoves. 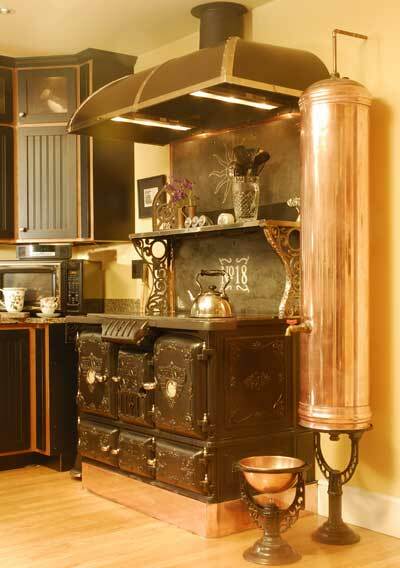 He sold them a decorative potbelly stove from the late 1800s (which now sits on a hearth in the revamped kitchen of their 1901 transitional Victorian), and also mentioned another appliance he was restoring: a center-firebox, double-oven Defiance wood-burning stove from the J.L. Mott Company.